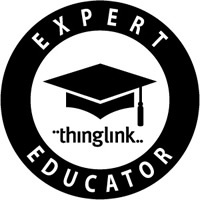 As the year comes to a close we would like to take a moment to thank and recognize the ThingLink Expert Educators of 2014. These talented educators share our enthusiasm and passion for transforming teaching and learning with ThingLink. They inspire others with their innovative ideas and creative uses of the tool. We are very thankful for the opportunity to collaborate and connect with these amazing educators and we are appreciative of all the sharing they do!